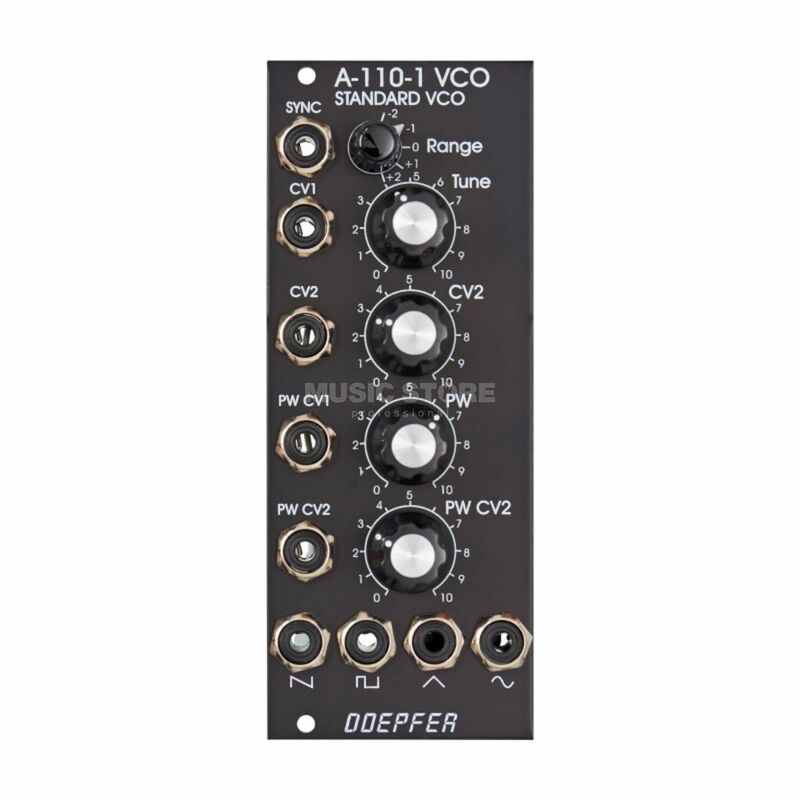 The Doepfer A-110-1V Modular Synthesizer Vintage Edition is a voltage controlled oscillator (VCO) module for the Eurorack A-100 series. The frequency range of the oscillator has a range between about 15Hz to 8kHz. The A-110 features waveform inputs for saw, square, triangle and sine waves, which can all be produced simultaneously. The VCO frequency is determined by the range switch and tune knob and by the voltage present at the CV inputs. Due to the high frequency rate, frequency modulation of the A-110 is possible. The vintage edition is identical to the original but appears in vintage dark grey.